1/2 x 3/8-inch Sterling Silver 5-Way Medal. 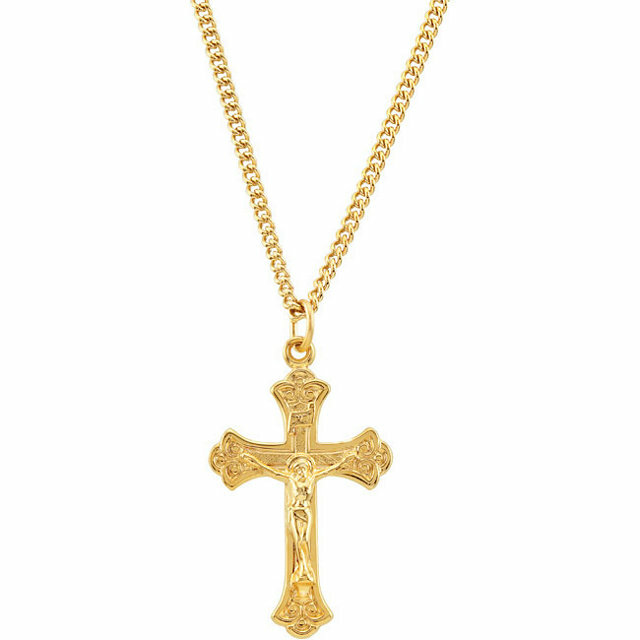 1 3/4 x 1-inch Two-Tone Gold-Filled and Sterling Silver St. Benedict Crucifix Medal. Our Sterling Silver 7 Millimeter Bead Rose Tincut Rosary features our money-back guarantee. NOTE: The photo may only show part of this product, but the Sterling Silver 7 Millimeter Bead Rose Tincut Rosary is a full rosary. 4"x6" The Sacred Hearts Gold Foil Mosaic Plaque with Full Color Prayer on Back from Italy. This The Sacred Hearts Mosaic Plaque features the CatholicShop.com money-back guarantee. Get 100 pieces for one low bulk price with our 100-Pack of The Beatitudes Christ Blessing Holy Card. Only available in this bulk pack. The Beatitudes 2"x4" Gold Embossed Italian Holy Card with Prayer 100 Per Pack.